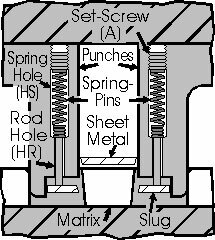 Spring-pins are used for ejectors, lifters, and kickers. 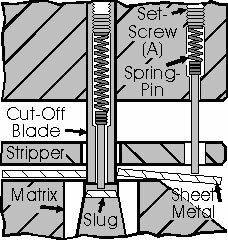 Spring and/or rod can be cut to length to suit your application. 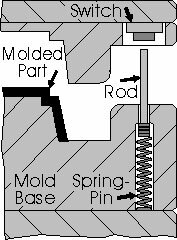 Each spring-pin consists of a hardened steel rod soldered to a compression spring. Looking for Standard Inch sizes? * All dimensions are in metric millimeters if not specified otherwise. Please contact us if you need help or a special size.